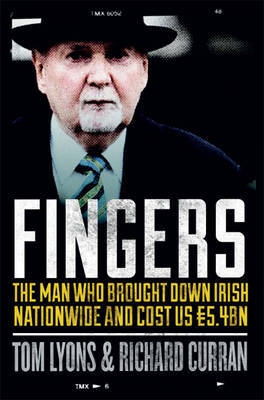 Michael Fingleton was an Irish banking legend, the ultimate big money lender. He took Irish Nationwide Building Society from an obscure mortgage provider to a multi-billion euro property-lending casino, leaving the taxpayer to pick up the tab for EURO5.4 billion when the society eventually went bust. Fingleton earned over EURO2 million per year and built up a pension fund worth EURO27 million. But it was his loans to a small group of property developers and the way the society was mismanaged, under the nose of the Financial Regulator, that cost Irish citizens so dearly. In Fingers, Tom Lyons and Richard Curran use previously unpublished material to blow open the failings of the society's internal systems and controls, its culture and the dominance of one man. They get inside the organisation and bring startling new revelations about how money was really lent out to a small group of developers, how INBS failed, and what the Financial Regulators knew. * how ordinary borrowers in arrears were treated ruthlessly, while the mega-rich walked away owing billions to us. Fingers goes to the heart of the state's failure to hold anybody to account for the Irish financial crash. It highlights the need for a proper banking inquiry to explain to the public what went wrong, how, and who is to blame.